This article is about the Karnak temple complex in Egypt. For the Neolithic menhir site, see Carnac. For other uses of either spelling, see Karnak (disambiguation). The Karnak Temple Complex, commonly known as Karnak (/ˈkɑːr.næk/, from Arabic Khurnak meaning "fortified village"), comprises a vast mix of decayed temples, chapels, pylons, and other buildings near Luxor, in Egypt. Construction at the complex began during the reign of Senusret I in the Middle Kingdom and continued into the Ptolemaic period, although most of the extant buildings date from the New Kingdom. The area around Karnak was the ancient Egyptian Ipet-isut ("The Most Selected of Places") and the main place of worship of the eighteenth dynasty Theban Triad with the god Amun as its head. It is part of the monumental city of Thebes. The Karnak complex gives its name to the nearby, and partly surrounded, modern village of El-Karnak, 2.5 kilometres (1.6 miles) north of Luxor. The complex is a vast open site and includes the Karnak Open Air Museum. It is believed to be the second most visited historical site in Egypt; only the Giza Pyramids near Cairo receive more visits. It consists of four main parts, of which only the largest is currently open to the general public. The term Karnak often is understood as being the Precinct of Amun-Ra only, because this is the only part most visitors see. The three other parts, the Precinct of Mut, the Precinct of Montu, and the dismantled Temple of Amenhotep IV, are closed to the public. There also are a few smaller temples and sanctuaries connecting the Precinct of Mut, the Precinct of Amun-Re, and the Luxor Temple. The key difference between Karnak and most of the other temples and sites in Egypt is the length of time over which it was developed and used. Construction of temples started in the Middle Kingdom and continued into Ptolemaic times. Approximately thirty pharaohs contributed to the buildings, enabling it to reach a size, complexity, and diversity not seen elsewhere. Few of the individual features of Karnak are unique, but the size and number of features are overwhelming. The deities represented range from some of the earliest worshiped to those worshiped much later in the history of the Ancient Egyptian culture. Although destroyed, it also contained an early temple built by Amenhotep IV (Akhenaten), the pharaoh who later would celebrate a near monotheistic religion he established that prompted him to move his court and religious center away from Thebes. It also contains evidence of adaptations, using buildings of the Ancient Egyptians by later cultures for their own religious purposes. The history of the Karnak complex is largely the history of Thebes and its changing role in the culture. Religious centers varied by region, and when a new capital of the unified culture was established, the religious centers in that area gained prominence. The city of Thebes does not appear to have been of great significance before the Eleventh dynasty and previous temple building there would have been relatively small, with shrines being dedicated to the early deities of Thebes, the Earth goddess Mut and Montu. Early building was destroyed by invaders. The earliest known artifact found in the area of the temple is a small, eight-sided column from the Eleventh Dynasty, which mentions Amun-Re. Amun (sometimes called Amen) was long the local tutelary deity of Thebes. He was identified with the ram and the goose. The Egyptian meaning of Amun is, "hidden" or, the "hidden god". Major construction work in the Precinct of Amun-Re took place during the Eighteenth dynasty when Thebes became the capital of the unified Ancient Egypt. Almost every pharaoh of that dynasty added something to the temple site. Thutmose I erected an enclosure wall connecting the Fourth and Fifth pylons, which comprise the earliest part of the temple still standing in situ. Hatshepsut had monuments constructed and also restored the original Precinct of Mut, the ancient great goddess of Egypt, that had been ravaged by the foreign rulers during the Hyksos occupation. She had twin obelisks, at the time the tallest in the world, erected at the entrance to the temple. One still stands, as the tallest surviving ancient obelisk on Earth; the other has broken in two and toppled. Another of her projects at the site, Karnak's Red Chapel, or Chapelle Rouge, was intended as a barque shrine and originally, may have stood between her two obelisks. She later ordered the construction of two more obelisks to celebrate her sixteenth year as pharaoh; one of the obelisks broke during construction, and thus, a third was constructed to replace it. The broken obelisk was left at its quarrying site in Aswan, where it still remains. Known as the unfinished obelisk, it provides evidence of how obelisks were quarried. Construction of the Hypostyle Hall also may have begun during the eighteenth dynasty (although most new building was undertaken under Seti I and Ramesses II in the nineteenth). Merneptah, also of the Nineteenth dynasty, commemorated his victories over the Sea Peoples on the walls of the Cachette Court, the start of the processional route to the Luxor Temple. The last major change to the Precinct of Amun-Re's layout was the addition of the first pylon and the massive enclosure walls that surround the whole precinct, both constructed by Nectanebo I of the Thirtieth dynasty. In 323 AD, Roman emperor Constantine the Great recognised the Christian religion, and in 356 Constantius II ordered the closing of pagan temples throughout the Roman empire, into which Egypt had been annexed in 30 BC. Karnak was by this time mostly abandoned, and Christian churches were founded among the ruins, the most famous example of this is the reuse of the Festival Hall of Thutmose III's central hall, where painted decorations of saints and Coptic inscriptions can still be seen. Thebes' exact placement was unknown in medieval Europe, though both Herodotus and Strabo give the exact location of Thebes and how long up the Nile one must travel to reach it. Maps of Egypt, based on the 2nd century Claudius Ptolemaeus' mammoth work Geographia, had been circulating in Europe since the late 14th century, all of them showing Thebes' (Diospolis) location. Despite this, several European authors of the 15th and 16th centuries who visited only Lower Egypt and published their travel accounts, such as Joos van Ghistele and André Thévet, put Thebes in or close to Memphis. The Karnak temple complex is first described by an unknown Venetian in 1589, although his account relates no name for the complex. This account, housed in the Biblioteca Nazionale Centrale di Firenze, is the first known European mention, since ancient Greek and Roman writers, about a whole range of monuments in Upper Egypt and Nubia, including Karnak, Luxor temple, Colossi of Memnon, Esna, Edfu, Kom Ombo, Philae, and others. 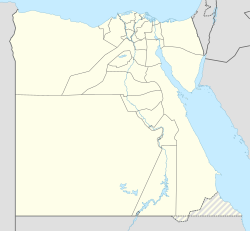 Karnak ("Carnac") as a village name, and name of the complex, is first attested in 1668, when two capuchin missionary brothers Protais and Charles François d'Orléans travelled though the area. Protais' writing about their travel was published by Melchisédech Thévenot (Relations de divers voyages curieux, 1670s–1696 editions) and Johann Michael Vansleb (The Present State of Egypt, 1678). The first drawing of Karnak is found in Paul Lucas' travel account of 1704, (Voyage du Sieur Paul Lucas au Levant). It is rather inaccurate, and can be quite confusing to modern eyes. Lucas travelled in Egypt during 1699–1703. The drawing shows a mixture of the Precinct of Amun-Re and the Precinct of Montu, based on a complex confined by the three huge Ptolemaic gateways of Ptolemy III Euergetes / Ptolemy IV Philopator, and the massive 113 m long, 43 m high and 15 m thick, first Pylon of the Precinct of Amun-Re. Karnak was visited and described in succession by Claude Sicard and his travel companion Pierre Laurent Pincia (1718 and 1720–21), Granger (1731), Frederick Louis Norden (1737–38), Richard Pococke (1738), James Bruce (1769), Charles-Nicolas-Sigisbert Sonnini de Manoncourt (1777), William George Browne (1792–93), and finally by a number of scientists of the Napoleon expedition, including Vivant Denon, during 1798–1799. Claude-Étienne Savary describes the complex rather detailed in his work of 1785; especially in light that it is a fictional account of a pretended journey to Upper Egypt, composed out of information from other travellers. Savary did visit Lower Egypt in 1777–78, and published a work about that too. Located to the south of the newer Amen-Re complex, this precinct was dedicated to the mother goddess, Mut, who became identified as the wife of Amun-Re in the eighteenth dynasty Theban Triad. It has several smaller temples associated with it and has its own sacred lake, constructed in a crescent shape. This temple has been ravaged, many portions having been used in other structures. Following excavation and restoration works by the Johns Hopkins University team, led by Betsy Bryan (see below) the Precinct of Mut has been opened to the public. Six hundred black granite statues were found in the courtyard to her temple. It may be the oldest portion of the site. In 2006 Betsy Bryan presented her findings about one festival that included apparent intentional overindulgence in alcohol. Participation in the festival was great, including the priestesses and the population. Historical records of tens of thousands attending the festival exist. These findings were made in the temple of Mut because when Thebes rose to greater prominence, Mut absorbed the warrior goddesses, Sekhmet and Bast, as some of her aspects. First, Mut became Mut-Wadjet-Bast, then Mut-Sekhmet-Bast (Wadjet having merged into Bast), then Mut also assimilated Menhit, another lioness goddess, and her adopted son's wife, becoming Mut-Sekhmet-Bast-Menhit, and finally becoming Mut-Nekhbet. In Transformers: Revenge of the Fallen the final battle between Optimus Prime versus Megatron, The Fallen, and Starscream takes place in the hypostyle hall at Karnak. Agatha Christie's Death on the Nile takes place mainly on the steamship S.S. Karnak, as well as using the temple itself in one of its scenes. Lara Croft visited Karnak for three levels in Tomb Raider: The Last Revelation (Temple of Karnak, The Great Hypostyle Hall and Sacred Lake) and it was featured in the level editor package. In the movie The Mummy Returns, Karnak is one of the places Rick O'Connell and the others must go to, in order to ultimately reach the Scorpion King. The British symphonic metal band Bal-Sagoth have a song called "Unfettering the Hoary Sentinels of Karnak". The first person shooter PowerSlave is set in and around Karnak. Karnak is featured as a location for exploration in the PC game The Sims 3: World Adventures. Karnak is featured as a location in the PC game Serious Sam. Karnak is featured in the James Bond movie The Spy Who Loved Me. According to the Stargate SG-1 episode "Serpent's Song", Apophis' host was a scribe in the Temple of Amun at Karnak. In the original Battlestar Galactica series, For "Lost Planet of the Gods, Part II", some shots of the pyramids at Kobol were actually filmed at the site of the Great Temple at Karnak and the Pyramids of Giza, in Egypt. In Final Fantasy V it is a fortified town/castle powered by the fire crystal. A tour of Karnak, including explanations of hieroglyphs and Egyptian culture, is shown in the BBC documentary Connections written and hosted by James Burke. Karnak is a location featured the video game Assassin’s Creed Origins DLC The Curse of the Pharaohs. ^ Lehner, Mark The Complete Pyramids, London: Thames and Hudson (1997) pp.202–225 ISBN 0-500-05084-8. Blyth, Elizabeth (2006). Karnak: Evolution of a Temple. Routledge. ISBN 978-0-203-96837-6. Wikimedia Commons has media related to Karnak temple complex. Wikisource has the text of the 1911 Encyclopædia Britannica article Karnak. This page was last edited on 3 April 2019, at 16:00 (UTC).